There aren’t many paths out of the desperate, downward spiral of life affected by poverty. Young men are easily swayed by the temptations and worldly offerings of gangs, crime and other common trappings. It does not take long for a potentially bright future to dim and eventually lose all focus as more immediate demands and concerns dominate their time. Often the only way out of this spiral is when an outside voice makes itself heard and calls to these young men who truly desire a better life for themselves. Often other family members hear that voice and take action: sisters, mothers, fathers, grandmothers, aunts or uncles. Often these voices are easily drowned out in the callous cacophony of living in poverty. However, one such voice has begun to stand out and has been clearly heard by the youth of Dayton. 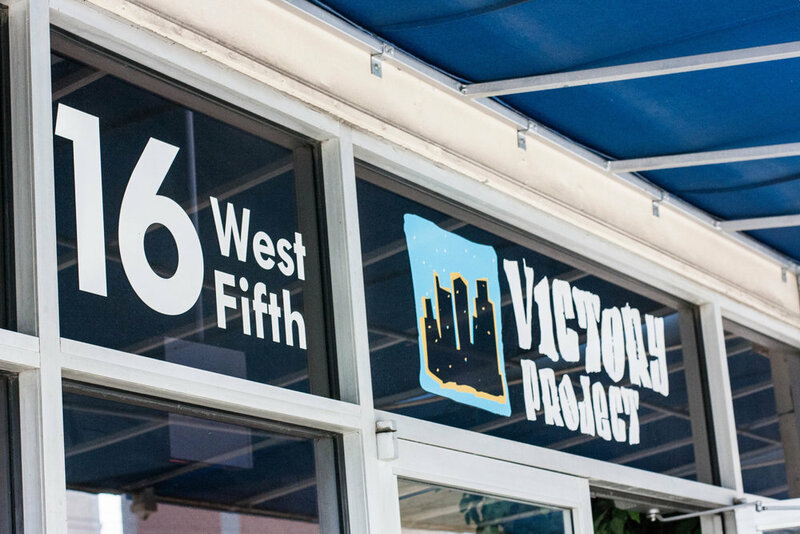 The Victory Project (VP) is a registered 501c3 faith-based, not-for-profit organization in downtown Dayton. As in the Greek mythology of the Sirens, they sound the siren call offering a way to navigate out of the urban fog surrounding disadvantaged youth that are frequently already involved in court processes before they’re out of high school and often before they have graduated middle school. The beauty of the Victory Project is that unlike beautiful sirens of old that lured sailors to their deaths, their voice leads to life. The labors of the volunteers rings true: there is an escape from hopelessness. Jacob Swogger, a young engineer working at Wright-Patterson AFB, is one of the volunteers from Apex involved with the Victory Project. As we sat at lunch to discuss his involvement with this ministry, he spoke with such articulate enthusiasm that I had finished my lunch before he paused long enough for me to ask a second question. In fact, I had to remind him to eat at all. Jacob told me of the three foundational tenets of the Victory Project: Education, Enlightenment, and Entrepreneurship. For these volunteers these three pillars of the ministry focus the efforts of those involved and direct the growth of those being served. Several of the volunteers are focused on educating the various young men through classes and one-on-one tutoring. Some struggle in specific school subjects while others lack the basic skills, such as reading and writing, needed to succeed in school at all. Enlightenment is a constant part of every interaction, encouraging awareness of the Jesus and the Gospel He commanded us to spread. 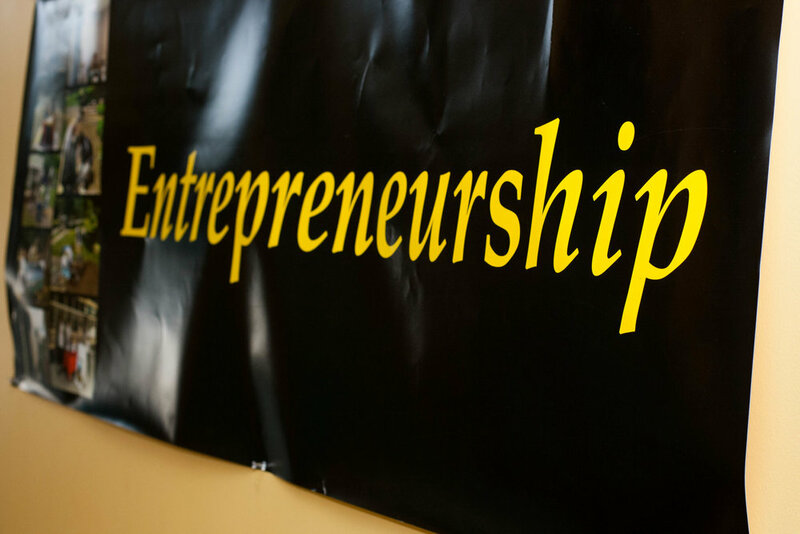 As Jacob aptly stated, “Poverty is not going to change unless God is involved.” Entrepreneurship teaches the initiative, drive, self-confidence of finding honest work and the rewards it brings. One way VP accomplishes this is through its own landscape management company that employs many of the men that pass through its halls. Also, meals are served to enable the focus only possible with a satisfied stomach. As always, VP is a ministry in need of more resources and is in need of help. Jacob says, “I’m there to stay for the foreseeable future. I feel like I would not be doing what God wants me to do if I stopped being involved there.” Even with volunteers like Jacob who no longer see themselves doing anything but serve at VP, there are simply not enough of them to be able to serve all the applicants. At any one time VP has the capacity to serve 15 men. However, they are receiving applications almost daily and the backlog is enormous. The building they are leasing needs labor and skills to bring their vision to fruition. Even resources like the food they serve, while frequently provided by groups of people like Apex house churches cooking full meals, are not always available. This causes VP to frequently order pizza (which can get old given enough repetition and drains their financial resources). Another goal of the Victory Project is to establish a parallel female-oriented ministry; a goal currently out of reach. It doesn’t take special skills to work with VP as Jacob points out, “I don’t do anything really special.” Though I’m sure there are some sisters, mothers, fathers, grandmothers, aunts and uncles who would disagree. To learn more about the Victory Project and to read their blog visit www.victoryproject.org.